When I was a child, there was nothing I liked more than sitting in the sun eating a choc ice. I’m sure a lot of you can relate! My dairy intolerance was not recognised until adulthood after a lifetime of sleep and gastric problems. Luckily, today there is so much more awareness of food intolerances and allergies. This is largely due to the ‘free from’ and health movement that has swept across the UK over the last few years. This presents a new problem for us though, finding delicious cold treats that are not just healthy, but that are dairy free too! My baby boy also has dairy allergy and I would hate for him to miss out on enjoying the experience of ice cream or a choice ice on a hot summers day. 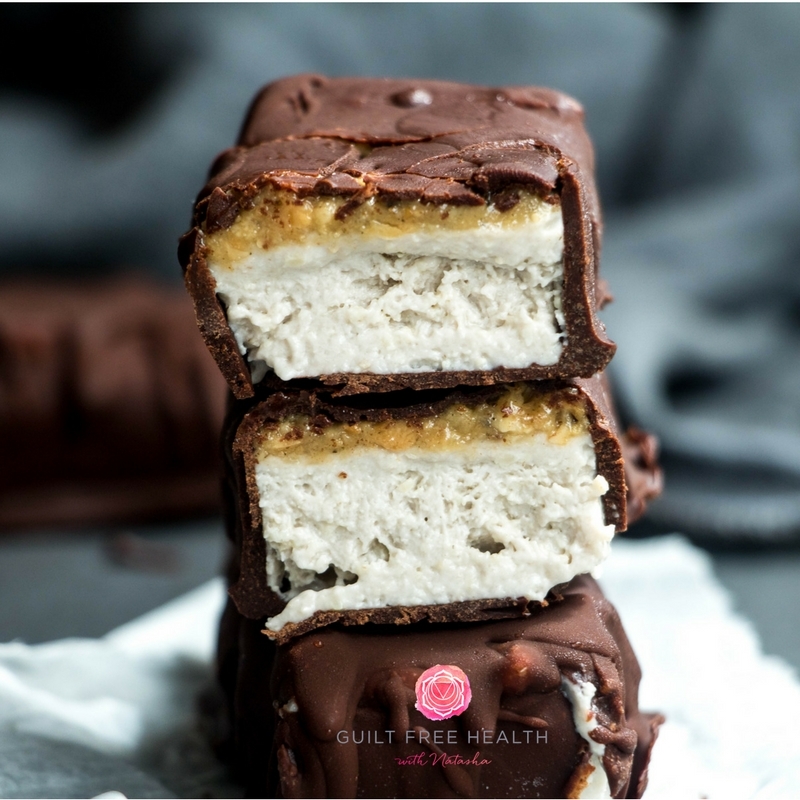 On that note, I proudly present my dairy, gluten and refined sugar free choc ice for you to make for yourself and your little ones to enjoy at home. To make the ice cream, combine the frozen bananas, coconut cream, cashews and vanilla powder in a food processor and blend until you’re left with a smooth and creamy, soft-serve like mixture. Line a rectangular dish or container with cling film and pour in the ice cream. Place this into the freezer for a couple of hours to properly set. Mix together the peanut butter and honey and set this aside. Melt the cacao butter and stir in the cacao powder and honey. Let the melted chocolate mixture cool slightly before coating the ice cream. Remove the ice cream from the freezer and spread the peanut mixture over the top. Slice this into bars and carefully coat each of them in the melted chocolate. Make sure that you place them back into the freezer immediately to prevent the ice-cream from melting. Allow these to freeze for a further couple of hours. You can use almond butter if you want to make these strict paleo, or leave the nut butter out altogether if you want a more traditional plain choice ice. If you love making your own goodies, why not check out my new recipe ebook.